In a surprising move, Iran’s new President Hassan Rouhani tweets a Rosh Hashanah greeting for Jews. In a surprising move, Iran’s new President Hassan Rouhani on Wednesday joined those who sent well wishes to the Jewish people on the occasion of Rosh Hashanah. “As the sun is about to set here in Tehran I wish all Jews, especially Iranian Jews, a blessed Rosh Hashanah,” he tweeted, according to Al-Monitor. The greeting by Rouhani, who has been hailed by the West as a “moderate”, is a sharp contrast to his predecessor, Mahmoud Ahmadinejad, who denied the Holocaust and openly called to wipe Israel, the Jewish state, off the map. “Not even under the monarchy do we remember such a message,” Haleh Esfandiari, an Iranian-born scholar who heads the Middle East program at the Woodrow Willson International Center, told Al-Monitor of Rouhani’s message. Rouhani’s well wishes to the Jewish people come as the Iranian mission at the United Nations confirmed to Al-Monitor that he will travel to New York later this month to address the United Nations General Assembly and participate in a disarmament meeting. Rouhani is scheduled to address the General Assembly on the afternoon of September 24th, the same day that U.S. President Obama will address the body in the morning. Ahmadinejad traditionally used his speeches at the UN to launch into a tirade against Israel. While the West has said that Rouhani is a moderate, Israel has warned that he is a wolf in sheep’s clothing, particularly when it comes to Iran’s nuclear program. Rouhani recently said that Iran was ready for "serious" talks on its nuclear program without delay and that U.S. calls for tougher sanctions showed a lack of understanding. 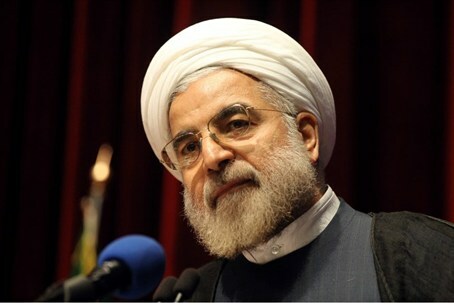 At the same time he stressed soon after his election that Tehran would not consider halting the country’s uranium enrichment activities entirely.